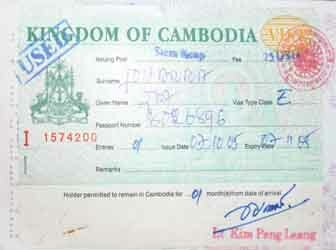 Tourist visas can be extended only once for 30 days at a cost of around US$45 (via an agent). Business visas can be extended indefinitely and the costs vary according to the length of the extension. There are 6 month and 12 month extensions and once the extension has expired you can extend it again indefinitely. It is possible to apply for an extension by yourself, however the process is lengthy and you will be asked for a number of documents and questions. Alternatively you can pay an additional fee to an agent. This way is much easier and will save you a lot of time as your passport will be returned with your visa extension in several days. Please note that business visas (really 'Ordinary' visas) must have the prefix "E" and tourist visas "T".